Pink's Thinks: Pack up, time to live on Mars. Have you been thinking you just need to get away lately? Maybe this season is rather tedious or you're really stressed out. Perhaps you are wishing you could just swish off to Fiji. Well, perhaps you're looking too close. Soon we may have to jump ship and go live on Mars. What I'm about to tell you is so utterly disturbing that after reading this information, you may never think of your life the same way again. 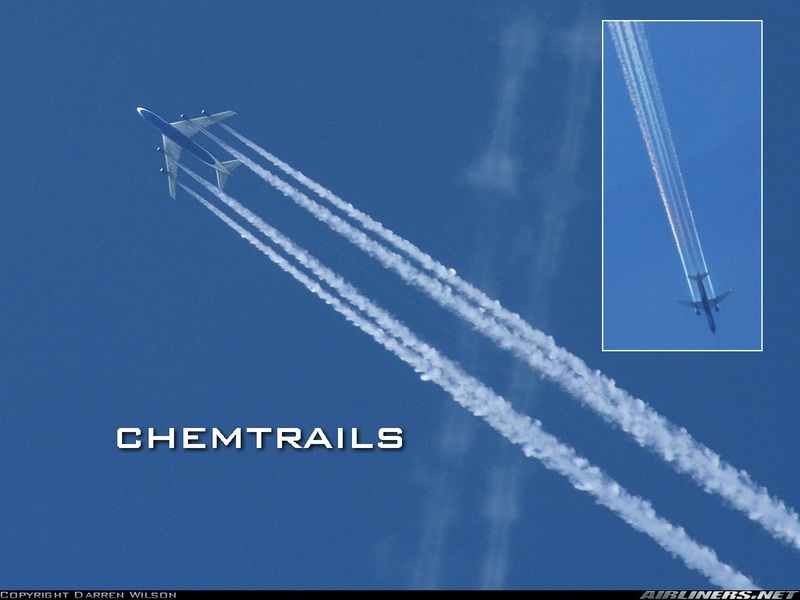 Have you noticed lately (let's say, in the last five to ten years) that some of the airplanes have trails that just won't go away? They leave trails in the sky long after they are gone. Have you ever wondered about that? Have you thought, "What the heck? Did they change their rocket fuel or something?" Why? What is that up there? Short answer: particulate matter, mostly aluminum. 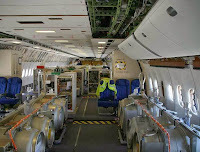 Why would they put aluminum into the stratosphere? Isn't that somewhat problematic being that aluminum is completely TOXIC to humans? 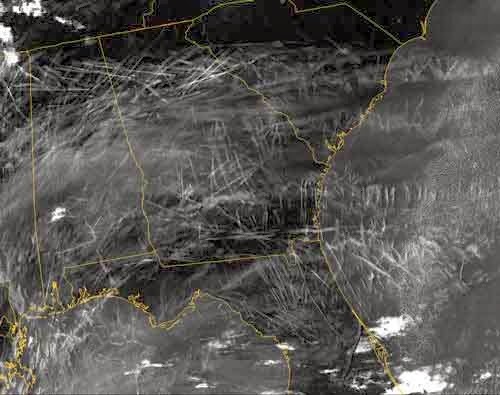 At this point, you have this resisting mechanism going on - why the heck would anyone spray aluminum into the atmosphere, knowing that it can hurt people? Nobody would do that! 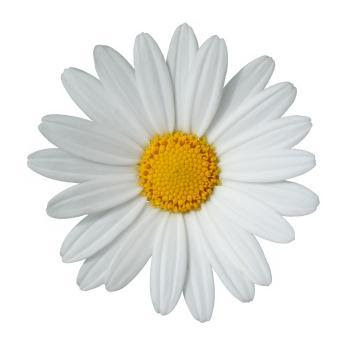 C'mon, Ms. Daisy, you're like so totally overreacting!! Actually, you're right - you wouldn't do that. That's because you have a freaking soul. But you're assuming that all others adhere to the same moral and ethical standards that you do. And that is where the sadness begins. Evil sickos sitting in a lab somewhere have decided that the way they're going to solve "climate change" is to reduce sunlight getting to the earth (Note: This is my interpretation. This may or may not have actually been the actual scenario. They may have been sitting at a restaurant or in a cave or in a nice hotel. We aren't really sure yet.). How can this be done? 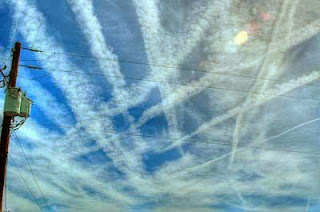 By artificially manufacturing clouds by spraying crap out the butts (pun intended) of F-15 airplanes in the stratosphere. What? Yeah, really. It's something that's on the agenda for the CFR (the Council on Foreign Relations) and in the U.S. government's list, too. 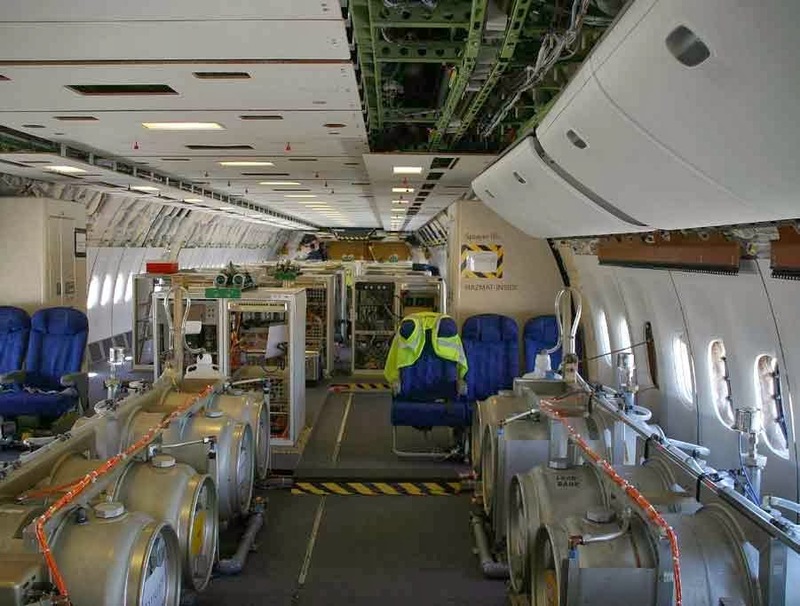 Your search for the phrase "stratospheric aerosol geoengineering" will bring up more than you ever thought possible on the subject. They're making earth darker (as in, let's have even MORE cloudy days) and changing the weather on purpose. They have succeeded at making it 20% darker so far. You know, having a grand old time pretending they're God. I wonder if they hang out with Monsatan. That would sure shock you, huh? Now, if you can remember ANYTHING from earth science and learning about clouds and all of those spheres up there, you know that clouds are warm little blankets for the earth. So, according to them, the best way to cool down the earth is to put more blankets on it. That's what I always do when I'm hot, anyway - go cozy up under fifteen blankets. It cools me off every time! I am not speaking here in scientific language (as you can plainly see), but I am about to introduce you to someone who will explain all of the horror to you in plain but scientific English. He is a photographer by trade (and a researcher now that he had this issue dumped onto his lap) and one day set up his cameras to the sky to do some camera-ish thing and accidentally came across this discovery that these clouds are not normal, are not natural, and were created by the stuff coming out of planes. He put together a documentary to scientifically explain what is going on, why it is going on, and what we can do about it. (He also made an app to report the stratospheric spraying and the geoengineering to send it to your political representatives.) The documentary includes people who specialize in different weather areas as well as footage from the meeting where a panel decided that they thought this was a good idea and they want to implement it. It also includes photos of the modified aircraft that does such things. 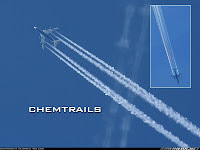 Some people use the negative slang term "chemtrails" for the stratospheric aerosol geoengineering (I don't know why, I mean, "Stratospheric aerosol geoengineering" just rolls off the tongue like butter...). 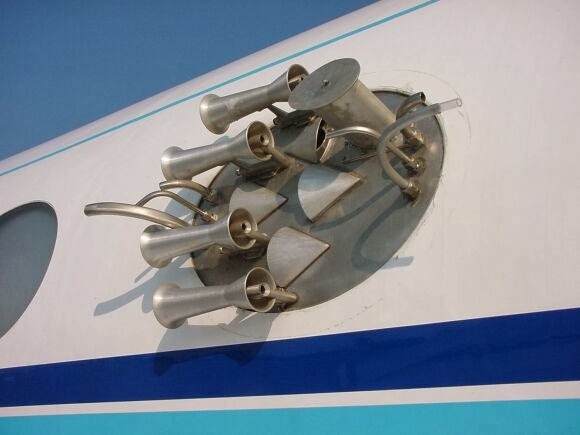 If you see that, now you know why. My concern about this has many facets. First - aluminum. Dude. You don't want aluminum in your body. You don't want to inhale it (which you will since the size of the particulate matter is so infinitesimal). 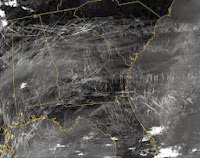 Many people are bringing up concerns outside of the stratospheric aerosol geoengineering sources of aluminum and pointing also to other aspects of our lives where we may be subjected to the toxin. One main example is obviously within vaccinations, use of aluminum cookware, aluminum cans, makeup, baking powder, processed cheese, bleached flour, antiperspirants, over-the-counter medicine, antacids, aspirin, sunscreens, dry skin products, anti-itch products, and more. "Dialysis encephalopathy syndrome (also referred to as dialysis dementia) can result from this accumulation of aluminum in the brain. Dialysis encephalopathy is a degenerative neurological syndrome, characterized by the gradual loss of motor, speech, and cognitive functions. Another neurological effect that has been proposed to be associated with aluminum exposure is Alzheimer’s disease." They also mention offhandedly that perhaps aluminum may be a carcinogen, but people haven't really bothered to figure that out yet (or so they report). Well. That doesn't seem like the grocery list you want to pick up. Secondly - this crapola is raining down onto our ground. It gets in the groundwater, it gets into the soil that you have in your backyard where your organic vegetables are growing and pours all over your animals. I bet that is pretty good for everything. Thirdly, what the heck do these people think they're doing screwing with the stratosphere? There are NO studies for how this may cause issues in the future. What will the excess clouds do to this world? WE HAVE NO IDEA! Can you remove it if we see that everything is dying because of it, the ice caps are melting and aluminum rain has poisoned the entire earth and all of our oceans? Pretending that you're God always works out well, I'm sure. Let me get real with you. I am not really a "Save the Whales" kind of person. I don't have anything against them being saved, if I may make myself clear. But I'm not earth granola. I'm human granola. But if you have any brain fragment going on inside that head, you know that if you screw up the ecosystem of the world, there's about a 100% chance that you are going to get hit. And mentioning that, let me go off on a soapbox tangent here for one second: I know a lot of people who say that they are followers of Christ but who utterly neglect what he has created and think it is unimportant. If that is you, may I encourage you think about truly being a good steward of the resources that he has given you and to prevent them from being utterly destroyed by people who want to pretend that they have a better idea than the one who created it. It just doesn't make sense. I'm not suggesting for you to worship the earth, but you've got a job to do, homeboy. Do it well. It ain't yours and you better take care of it. Okay, okay, okay. Enough of that. Let's do something. We can't just sit here and shrug and say, "Oh well. Whatever. It's probably fine. I mean, look at all these people who are exposed to it. I bet it's not that much. No big deal." Think about what you can do if this is disturbing to you. Would you write to someone in government and urge them to protect you and your family from environmental toxins? Are you someone who would put on a march in your city to bring attention to the issue? I don't have the answer as to what you should do, but I do think we ought to do something.